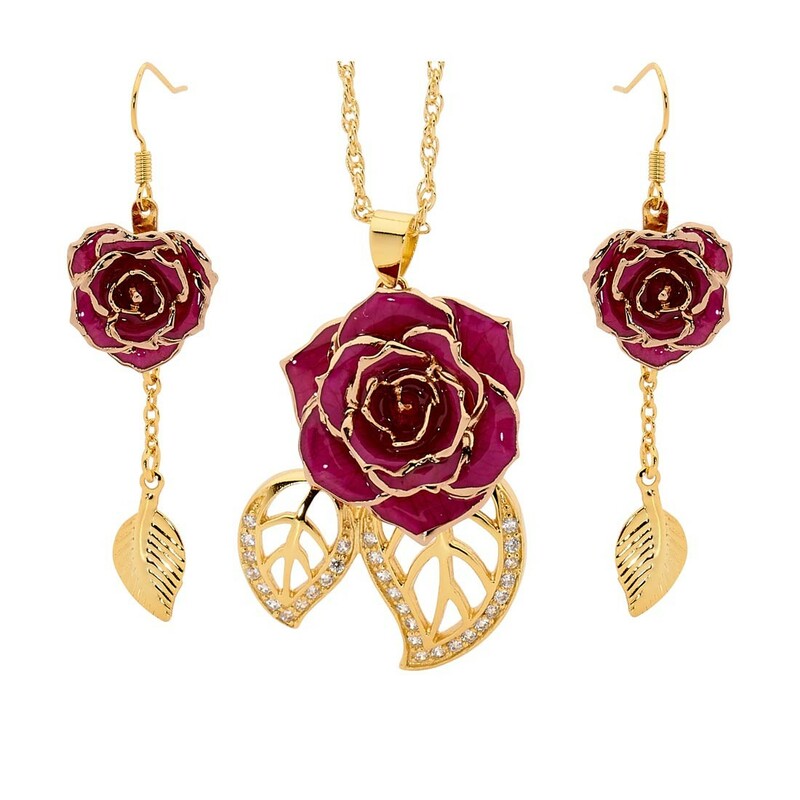 • Made from natural miniature purple rose petals, this stunning pendant and earrings are trimmed with 24 karat gold. 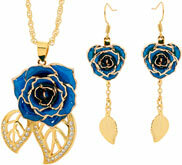 • Featuring the classic leaf design, each pendant is adorned with 30 radiant synthetic diamonds. 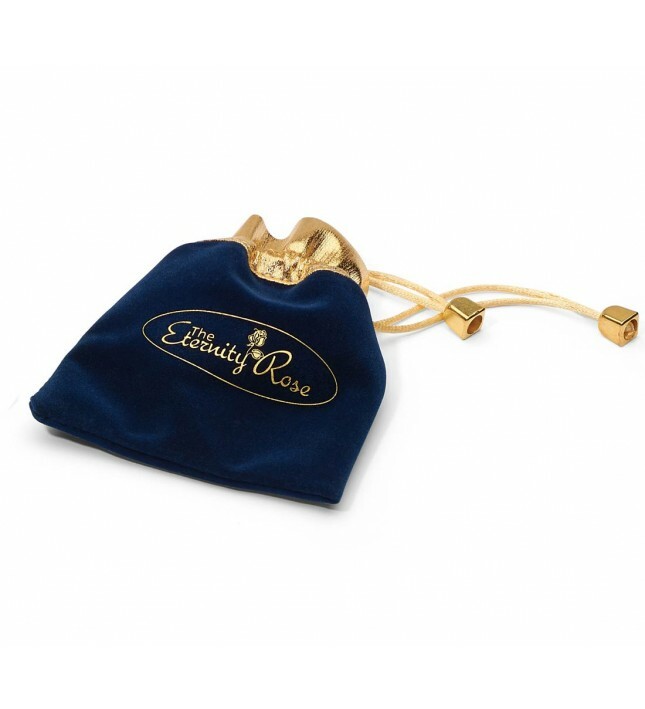 • Every matching set comes with a stylish navy-blue velvet pouch, decorated with an attractive gold braid trim and drawstring. • A lifetime warranty comes as standard with every intricately detailed pendant set. 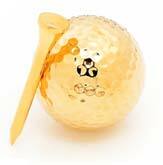 • Every item comes with its own certificate to validate authenticity. 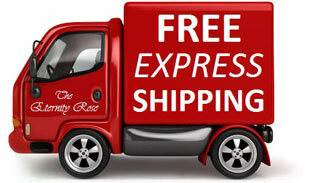 • Rapid dispatch and delivery is free as standard. A beautiful pendant made from true miniature purple rose petals which have been glazed and gold-trimmed with fine 24 karat gold. Every pendant comes together with a matching gold-dipped chain and features a pair of matching delicate 24 karat gold leaf-shaped figurines that are decorated with 30 stunning synthetic diamonds. 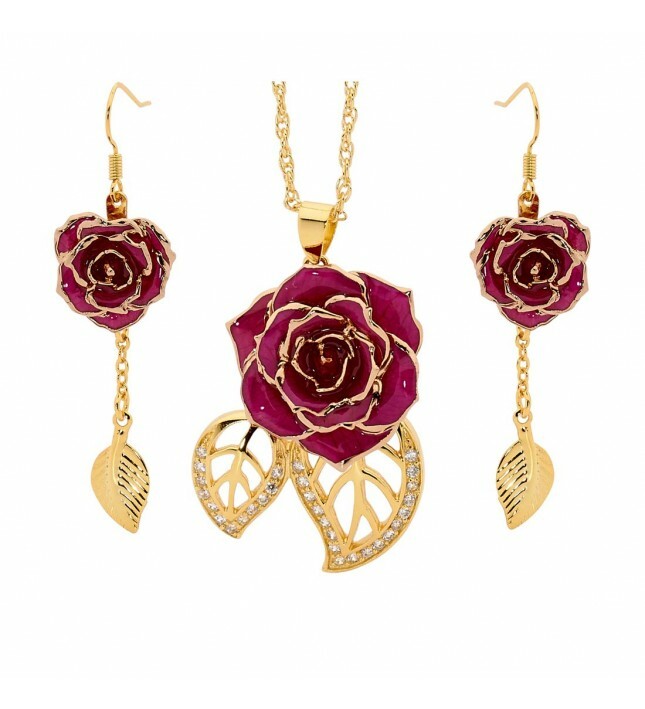 Beautiful matching drop earrings with a length of 1.69", fashioned from tiny rose petals and featuring pretty gold leaf-shaped figurines. 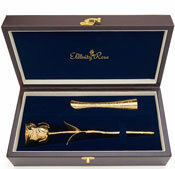 Every matching set includes a lifetime warranty, recognising the skilled craftsmanship involved in its production. Crafted by hand over the course of three months, these unique jewellery items are true creations of art. 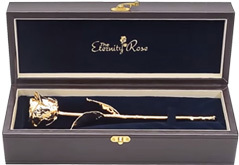 Due to The Eternity Rose's rigorous quality control and testing procedures, every item in the range is in impeccable condition. It is small wonder that these magnificent designs have received awards for quality as every item is designed to the ultimate specifications in Europe. 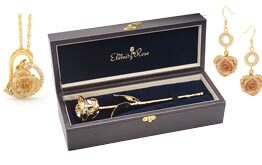 There are no finer gifts for any lady who has an appreciation for beautiful jewellery and roses.